It’s been a while since the last time we saw a new series of iPods being introduced, but the wait is finally over. Apple has released a brand new iPod line-up for those of you who still want to enjoy music without having to rely on the iPhone. The refresh is actually an interesting step, especially with Apple Music now hitting the centre stage. So, what new features do the new iPods offer? Unfortunately, we have to begin with a rather bad news. The iPod Nano and Shuffle are being refreshed, but the improvements are nothing more than cosmetics. That said, these two devices are holding up to market demands rather nicely, but I personally think Apple missed a chance to make the Nano and Shuffle truly superb music players. IPod Nano and iPod Shuffle are now available in new colours. A darker blue and a deeper pink are the colours of choice, along with the gorgeous gold found in Apple’s recent products, including the iPhone 6 and 6 Plus. You will also see the same high quality finish on these new devices. There is no Apple Music support for the iPod Nano. I think the decision is made so that the device can still be highly affordable, although Apple Music on the iPod Nano would actually be awesome. The iPod Touch, on the other hand, is being packed with a lot of new features. 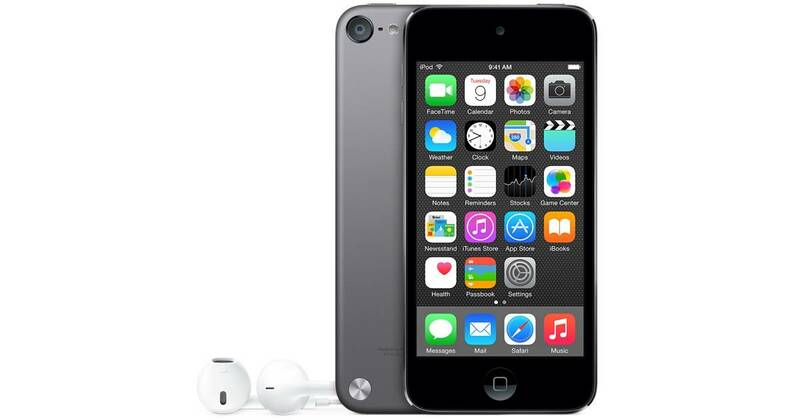 The current iPod Touch was introduced in October 2012; that’s a staggering 2 ½ years ago. A refresh is certainly way overdue, and Apple is only too happy to oblige. First up, the new iPod Touch now comes with the A8 SoC found in the iPhone 6 and 6 Plus. Expect to see a huge boost in performance, especially since the A8 is advertised as 6 times faster than the obsolete A5 chip with 10 times better graphics performance. The new iPod Touch will also come with iOS 8.4, the latest iteration form Apple. We can expect the device to support iOS 9 as soon as it is out of its current Beta stage. The upgraded processor lends itself to a much more refined user experience. The iPod Touch runs iOS 8.4 beautifully. Everything is smooth. The user experience is much closer to the iPhone 6, minus the enlarged screen. Apple decided to keep the iPod Touch’s screen at 4-inch; a smart move, considering it will help keep the price down. 1GB of RAM is now available instead of 512MB offered by the old device. Apple also added the M8 motion coprocessor, which means the new iPod Touch can now track motion as well as a wealth of fitness and health apps available in the App Store. The M8 will help keep battery usage down too, allowing users to maximize the use of fitness tracking apps all day. Another welcomed upgrade is the iPod Touch’s camera. It is now an 8-megapixel shooter, similar to the iPhone 6 and iPad Air 2. It is difficult to assess its performance at this point, but all the features you would expect from an upgraded camera are there: Cinematic Video Stabilization, Slow Motion, Burst Mode and 1080p video capture at 30fps. The front-facing FaceTime HD camera is also an interesting feature to have. A faster Wi-Fi 802.11ac, Bluetooth 4.1, and a selection of new colours complete the upgrade. The iPod Touch now comes in six colours: silver, space gray, red, bright pink, deep blue and gold. You also have a wider selection of storage to choose from. Apple keeps the 16GB iPod Touch available; this is great news for someone like me, who really want the iPod Touch only as a backup device and doesn’t need the extra storage. 32GB, 64GB and 128GB are also available. Yes, the iPod Touch is now available with 128GB of storage. That’s all the music you can store, right there. Since iPod Touch now runs iOS 8.4, it fully supports the Apple Music service. It also comes with the all-new Music app; a nice improvement over the older version. “With big advancements like the A8 chip and the 8 megapixel iSight camera, customers can experience next-level gameplay, take even more beautiful photos and enjoy their favorite music, TV shows and movies,” said the vice president of iPhone, iPod and iOS Product Marketing, Greg Joswiak. Joswiak also stated that the iPod Touch is in fact meant to grant access to iOS’s latest features and services without having to spend a lot of money on an iPhone. The iPod Touch is remarkably affordable nonetheless. The 16GB version costs $199. The 32GB, 64GB and 128GB models cost $249, $299, and $399 respectively. Many experts see the 32GB model as the most interesting one, since it offers a nice storage upgrade from the 16GB for just $50 more. There is one bad news, though. The new iPod Touch doesn’t support Touch ID. It doesn’t have a fingerprint sensor on its Home button. Apple has also decided to remove the Loop wristband button from the bottom-right corner of the device. This is perhaps to conserve space. Will you pick one up? I know I have my eyes set on a space-grey, 16GB or 32GB, new iPod Touch. The good news is: these refreshed iPod devices are available now! Based on everything that has been outlined so far, do you find them interesting? Let us know what you think in the Comments section below. Also, do you think that any major update will be done to the iPod line-up anytime in the future, or will simple updates like this be done until Apple decides to shut down the iPods line?